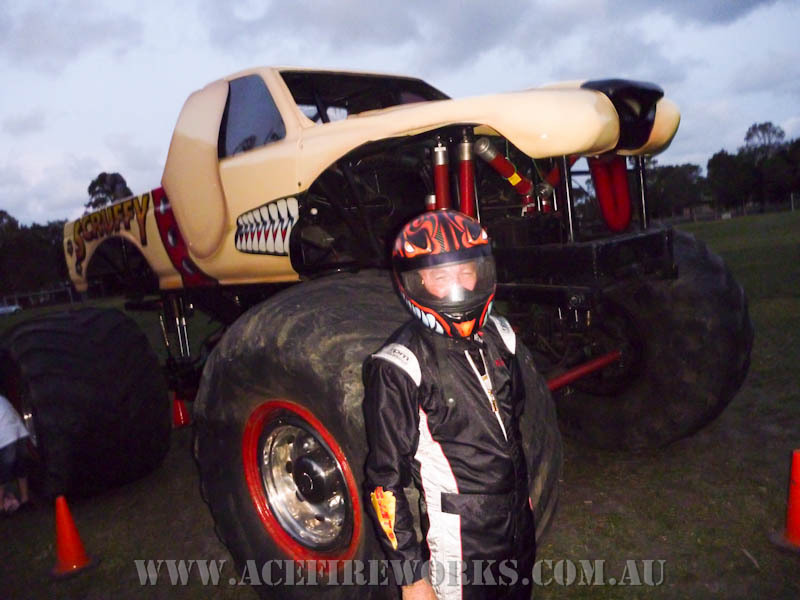 Monster Trucks are Australia's fastest growing Family Entertainment. With their mass appeal they are a must for your next Event/ Show. 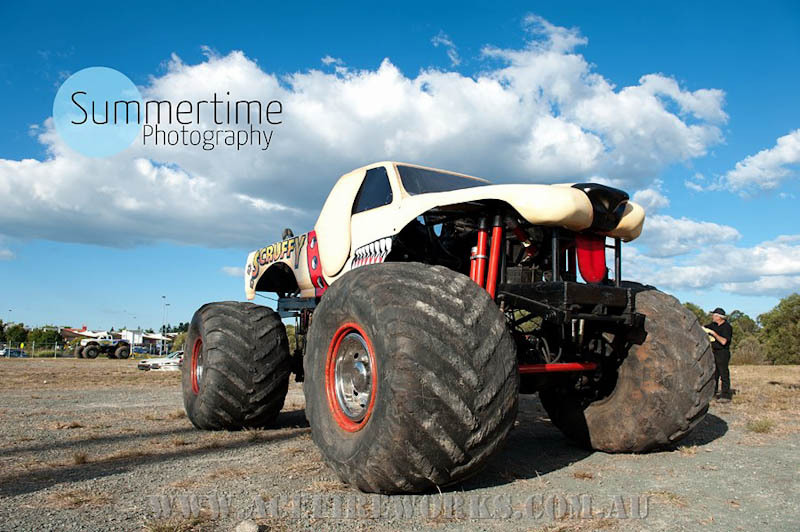 Monster Trucks are sure to a whole new element to your crowd at your next event. 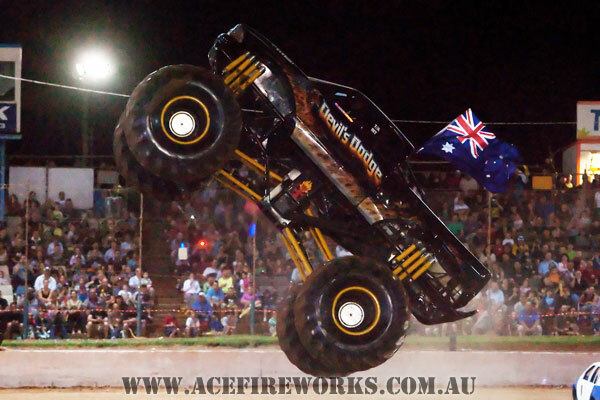 Ace Fireworks owns four of Australia's foremost Monster Trucks, "Aussie Predator", "Bear Foot USA", "Spirit of Australia" and "Devil's Dodge". 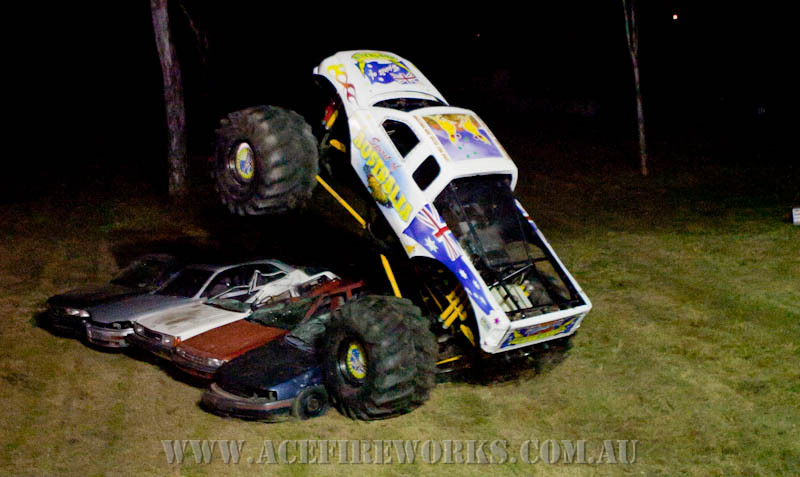 All trucks are extremely modern and break conventional ideas of Monster Trucks being able to clear jump easily five cars. 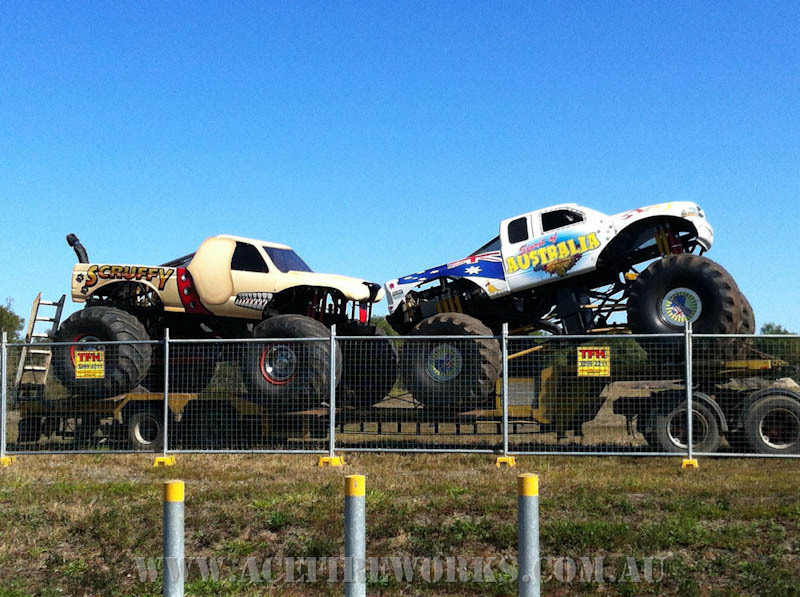 These Trucks either on their own or as a package promise to offer some of the best entertainment you will ever seen. 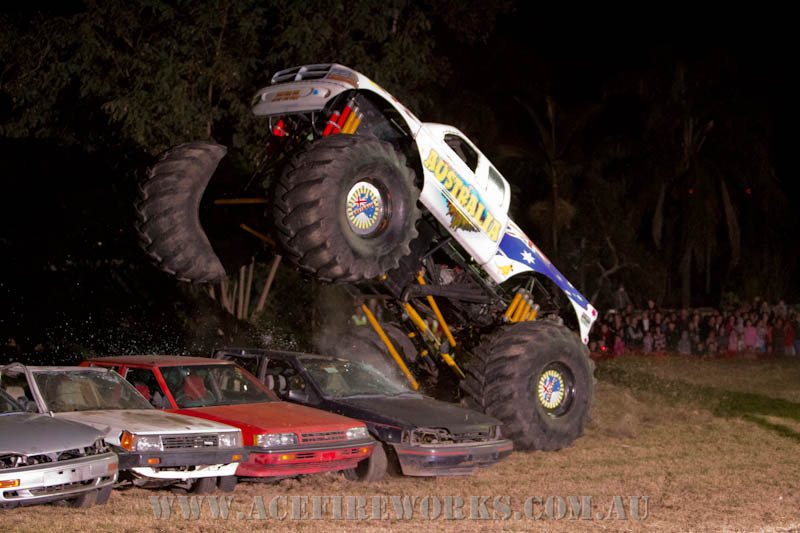 These trucks are truly magnificent and have to seen to be believed. Call today and see just what we can do for you! 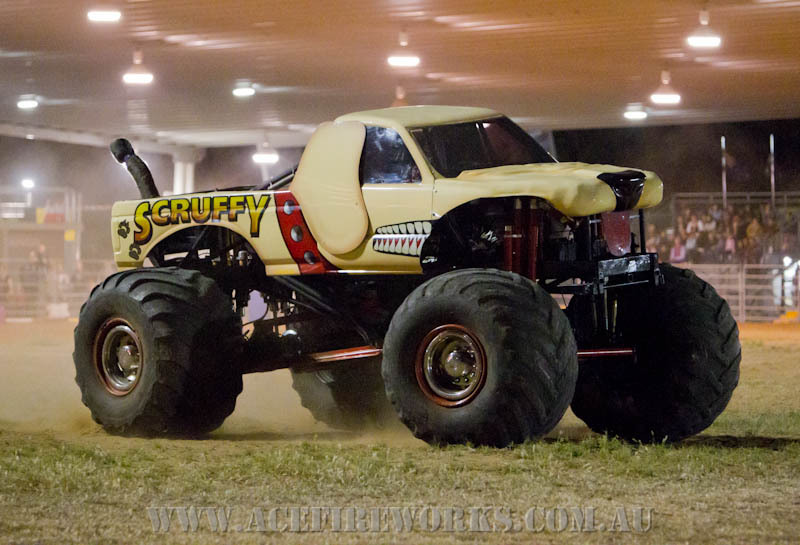 Scruffy is the latest truck to join the Ace Fireworks Monster Truck Fleet! 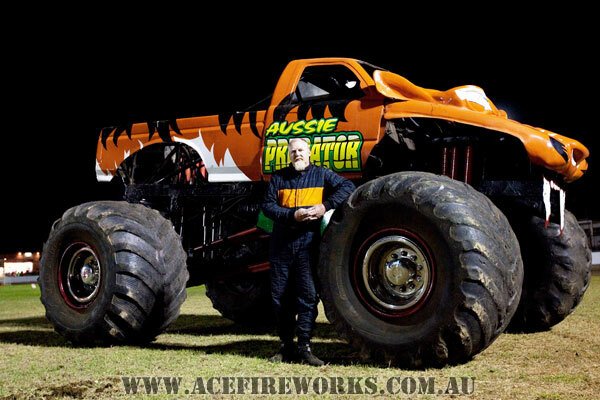 Spirit of Australia is the second newest addition to the Ace Fireworks Monster Truck Fleet. Spirit of Australia had its debut performance on 31st July 2010 in front of a capacity crowd at the Chuwar Baptist Church Street Party. Sherri Schaffer drove the truck as thousands of screaming fans cheered her on. 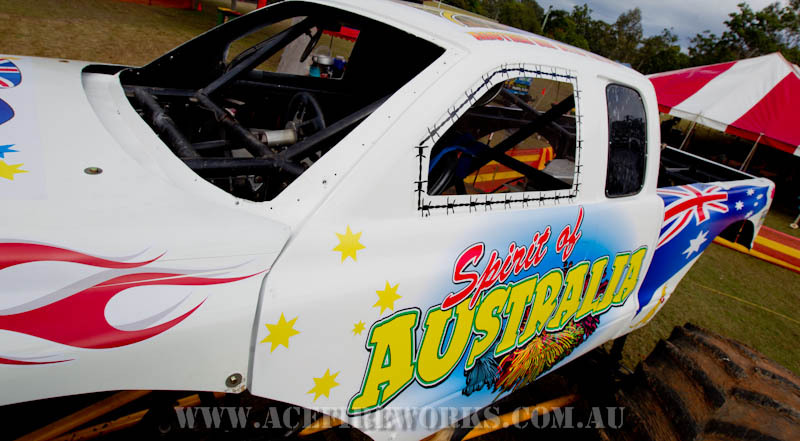 Being a proud Aussie, Peter Duffy has been quick to raise his hand and take on take on the challenge of becoming the Spirit of Australia's regular driver. Pete assures us that he will do the Australians proud! 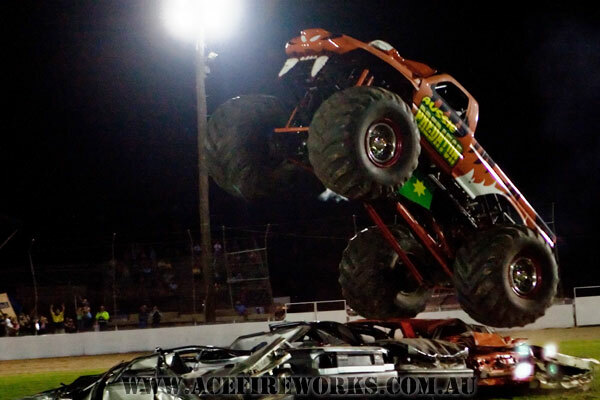 Was originally The Hulk Monster Truck owned by legendary World Wrestling Champion Hulk Hogan. 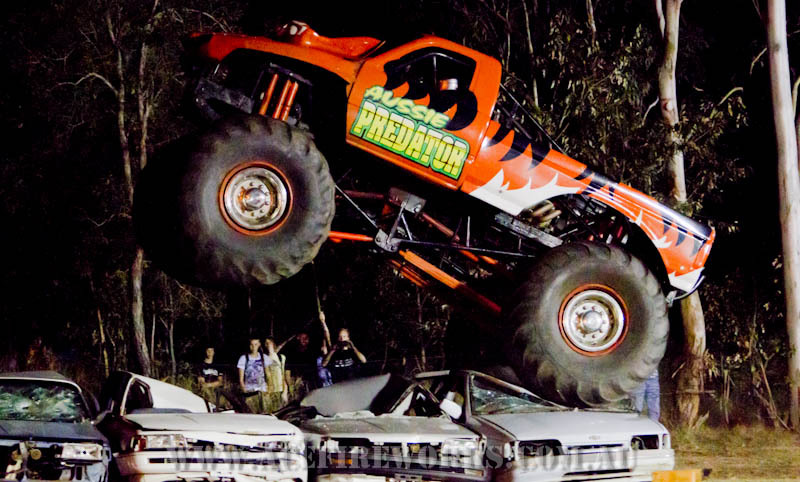 The Hulk was the winner of many USA monster truck championships and appeared on US TV multiple times with his celebrity owner Hulk Hogan. This included appearances with Hulk Hogan at his wrestling matches. 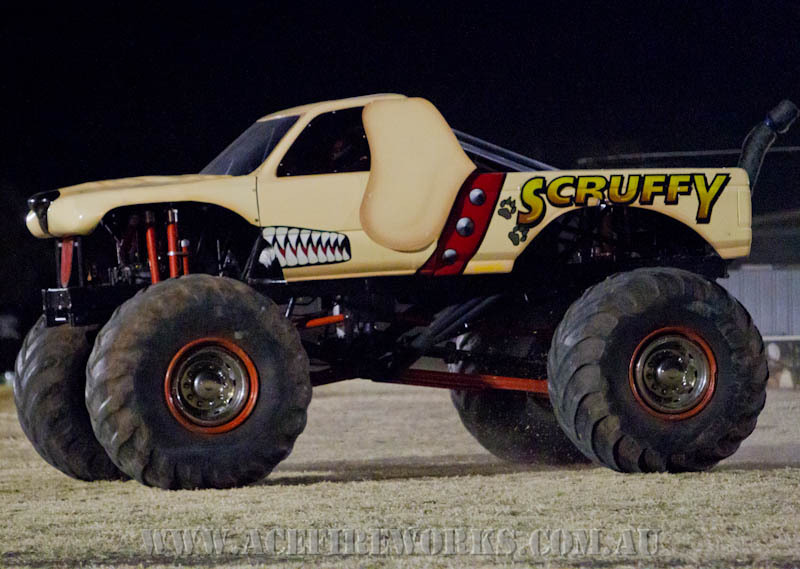 Since arriving on Australian shores, The Hulk was fitted with a brand new 3D body, paint scheme and a set of wild animal fangs. 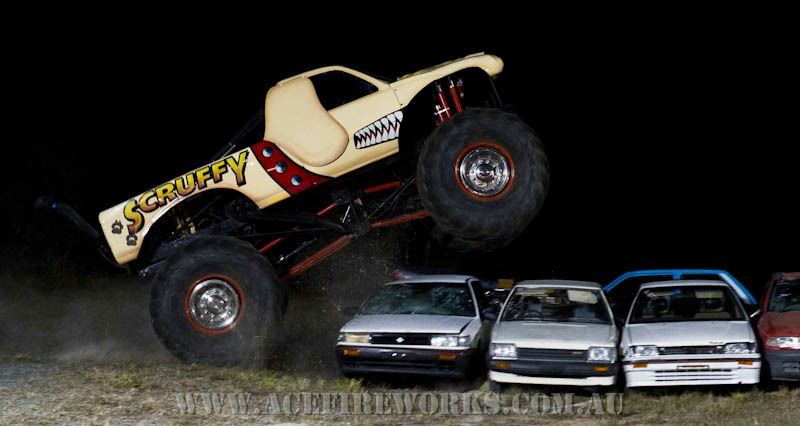 The Hulk, still as powerful as ever with a 540cubic inch super charged chevy V8 motor but has now transformed into the Aussie Predator. 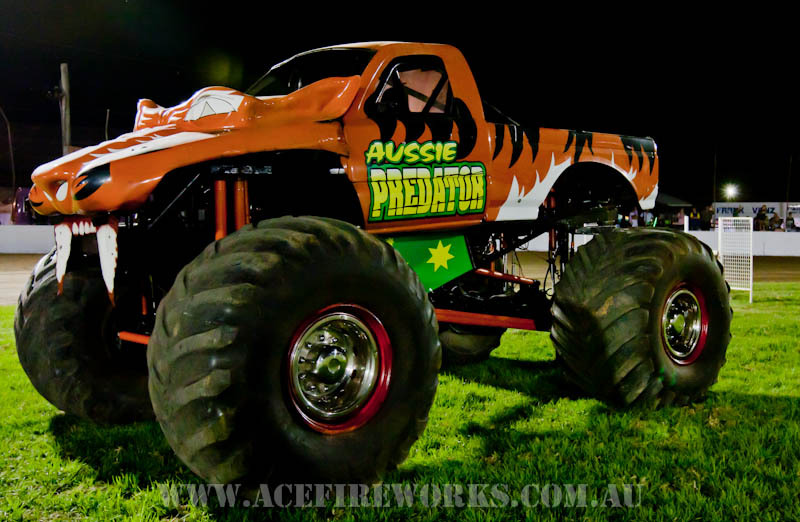 Aussie Predator has competed in many major freestyle monster truck events and races all over the country. 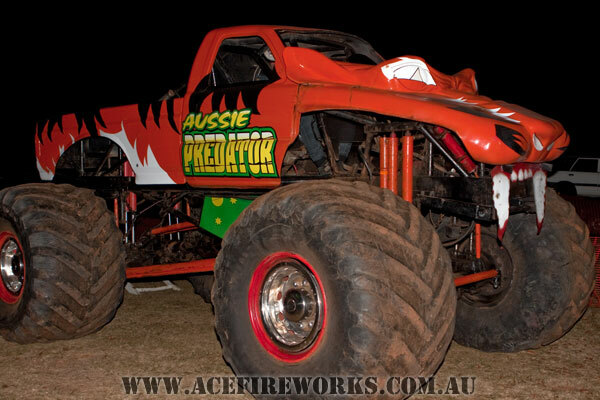 Aussie Predator has been driven to success by monster circuit regulars Barry Gaunt, Clive and Jaye Featherby, Sherri Schaffer and Peter Duffy. 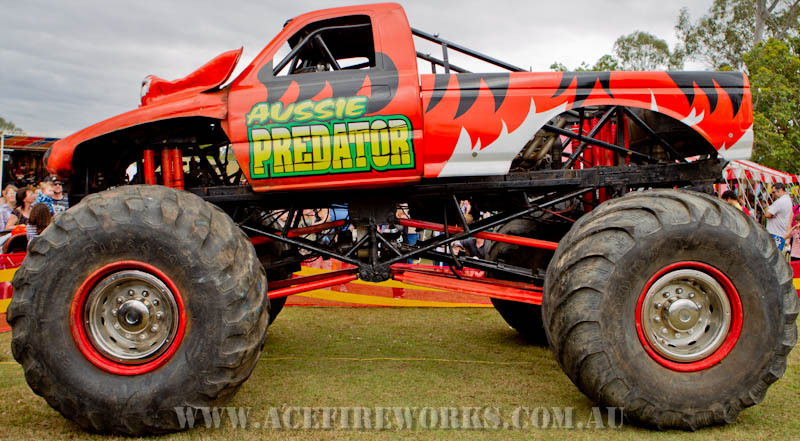 Aussie Predator has also been driven by our own Aussie Celebrities which include V8 Supercar Driver Legend Craig Lownes and Football Superstars Alan Langer and Shane Webke. 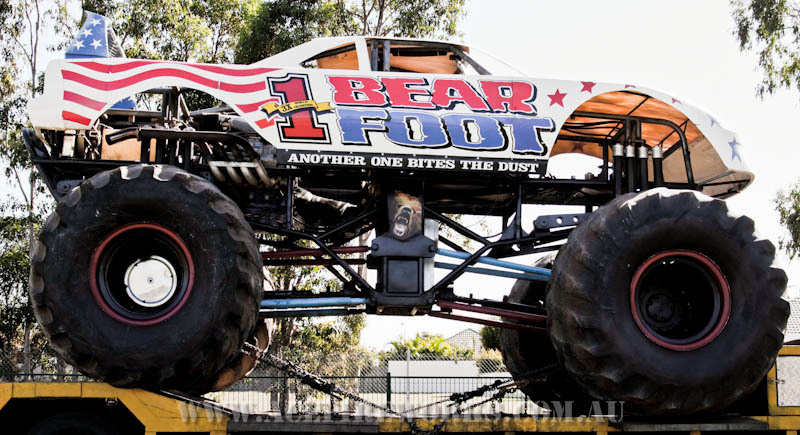 One of the many world wide Bear Foots, Three times world monster truck champion. 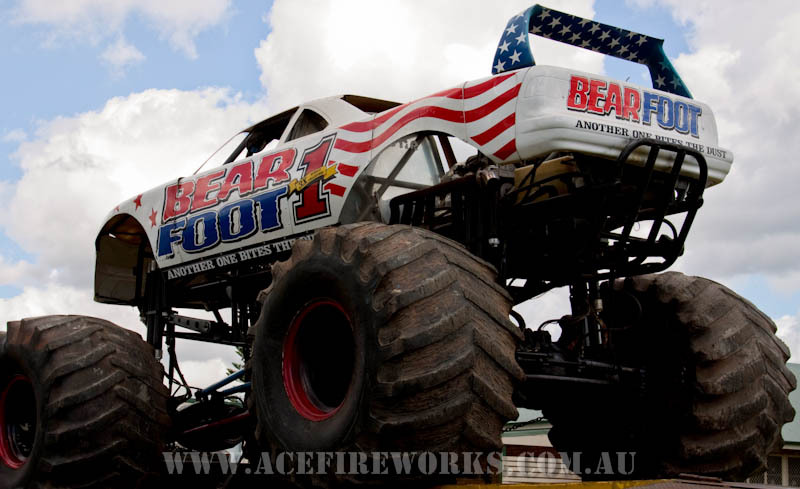 Bear Foot USA came out of the Paul Schaffer fleet of monster trucks. 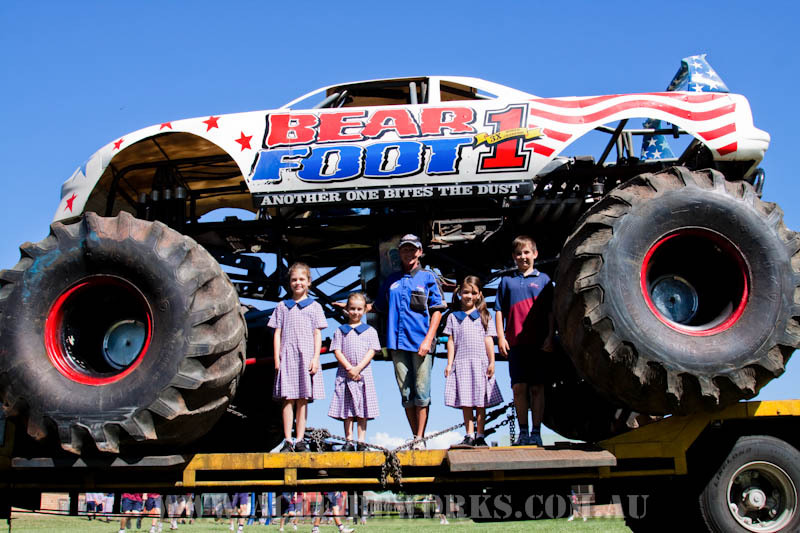 Originally stationed in the US, Bear Foot USA won countless number of events and championships US Monster Truck circuit. 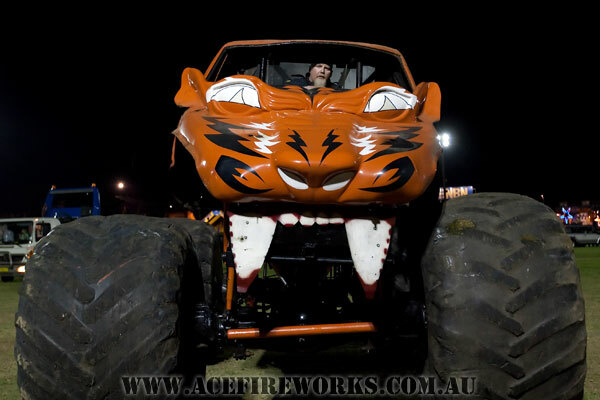 Whilst in Australia, Bear Foot is driven by Ipswich’s own female driver, Sherri Schaffer. 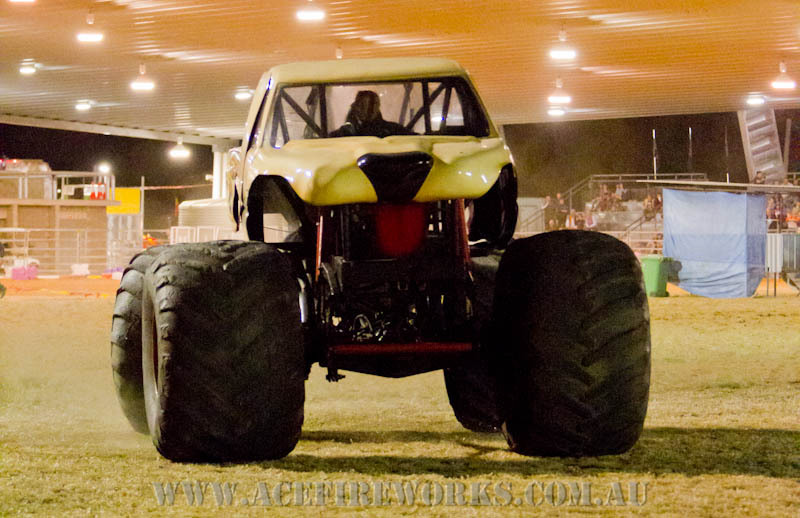 Bear Foot is powered by a 580 super charged Chev Engine. 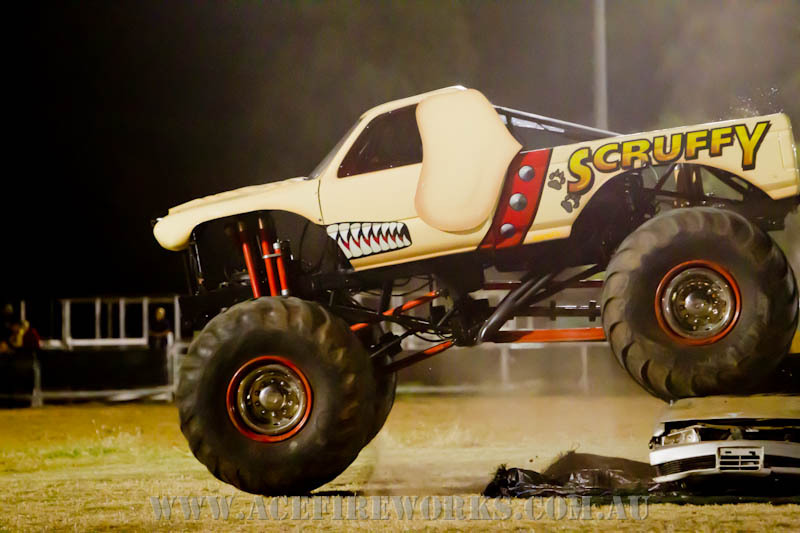 This truck is built to jump and race! 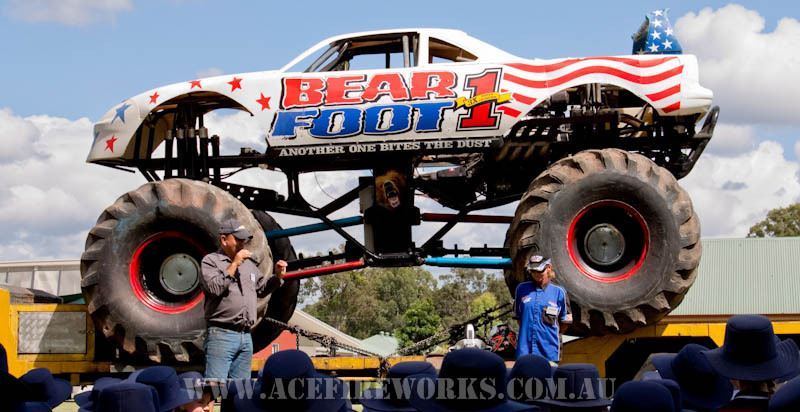 Clive Featherby, Barry Gaunt have also got behind the wheel of this big bad bear at one time or another, but be sure of this, wherever Bear Foot Appears, he is always the star of the show! 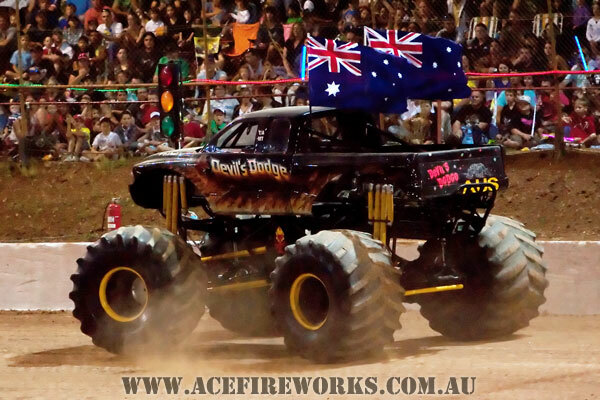 Devil's Dodge was bought to Australia by Monster Truck Racing Legend Clive Featherby. 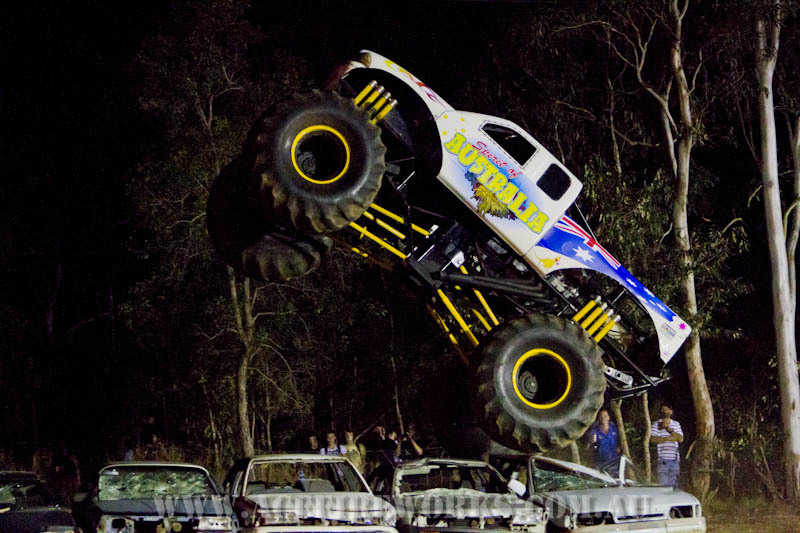 Devil's Dodge made his first appearance at Archerfield Astrodome in Brisbane in 2008. 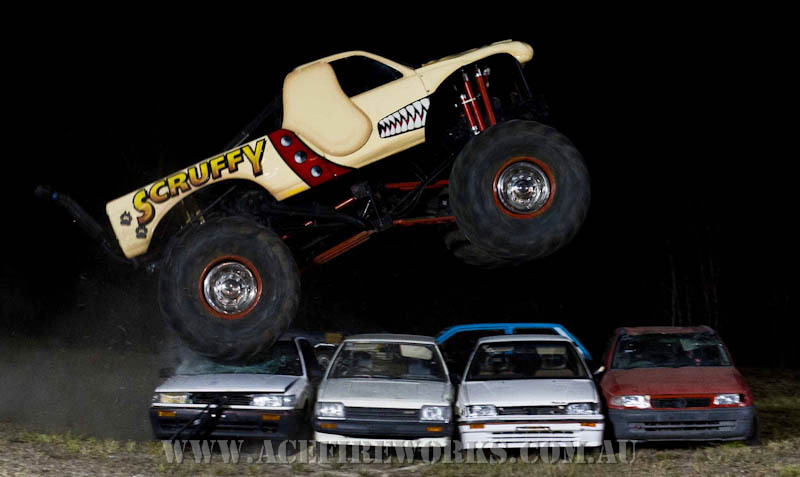 The Truck was named Devil's Dodge in the USA. 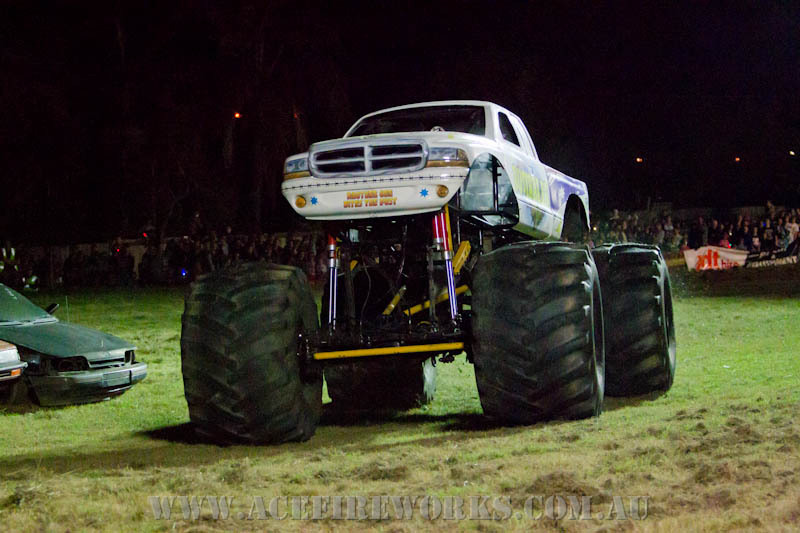 The truck was originally powered by a 500 cubic inch Dodge Hemmy Motor. 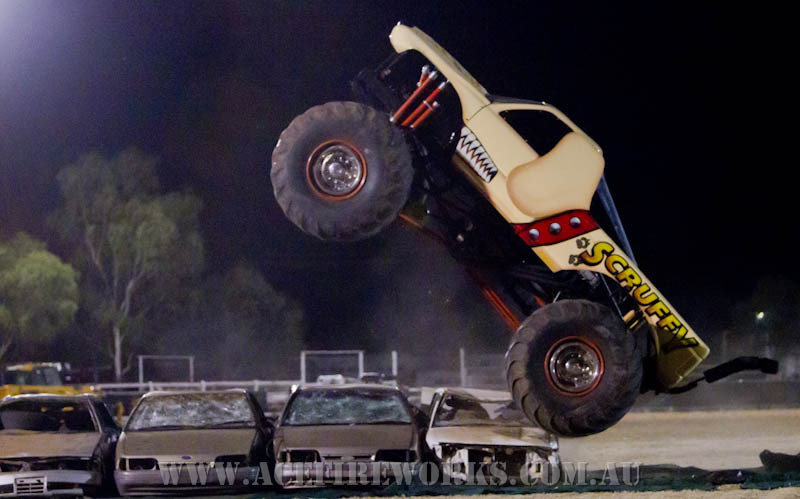 It had massive horse power but due to lack of available parts in Australia, we had no option but to converted to a later model aluminium big block Chev motor. 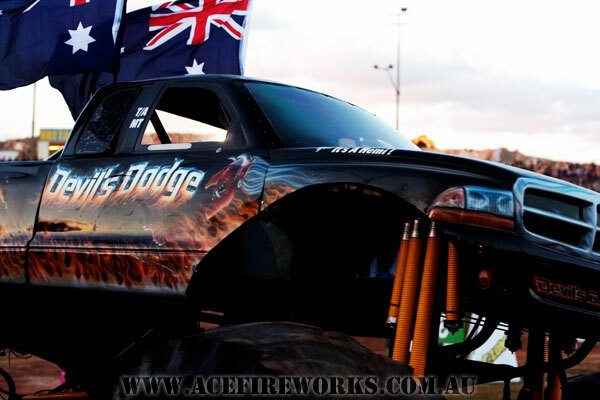 Still a fine piece of machinery, Devils Dodge, driven by Peter Duffy, has competed in most states of Australia including the 2009 World Finals where competed in both racing and freestyle events.